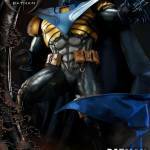 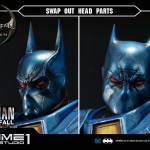 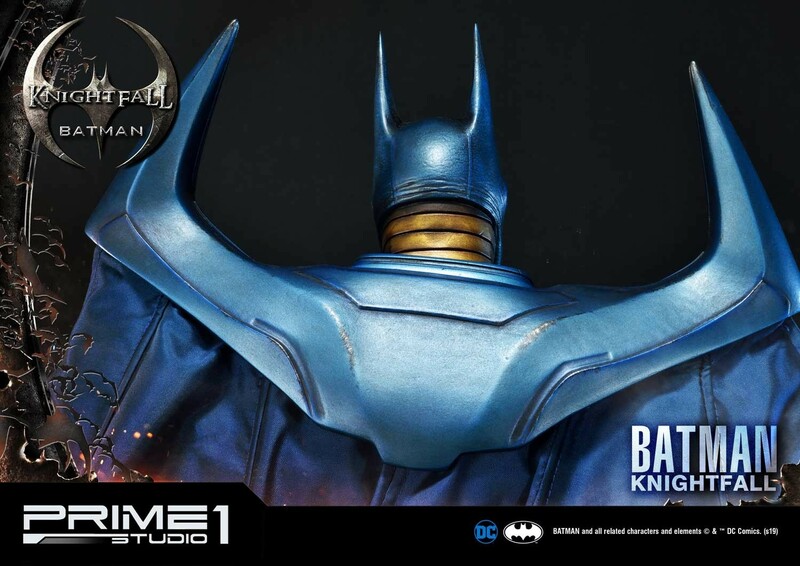 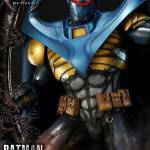 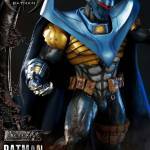 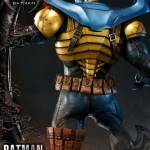 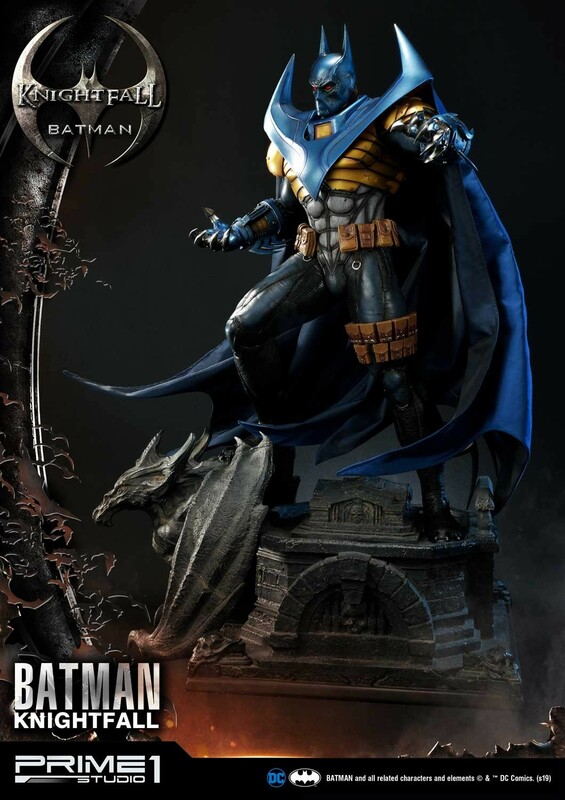 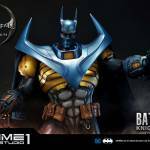 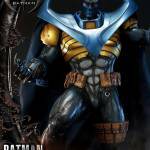 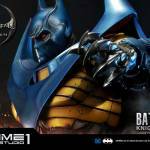 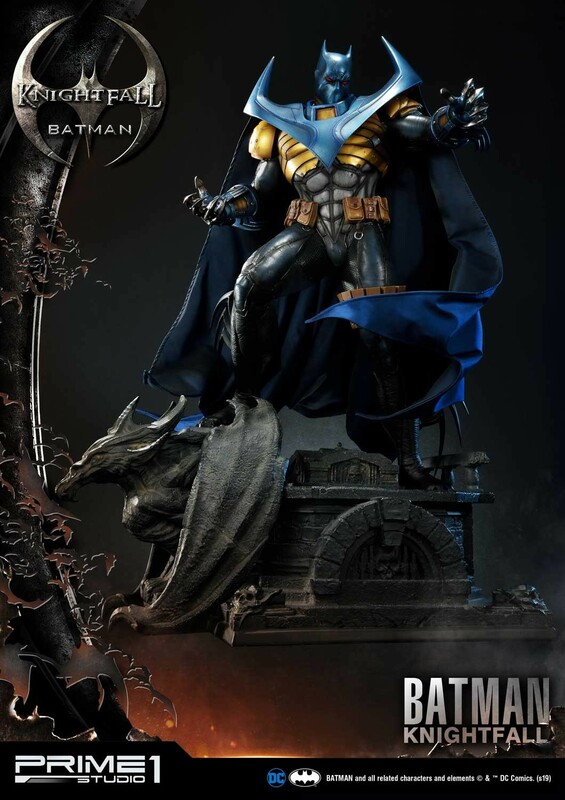 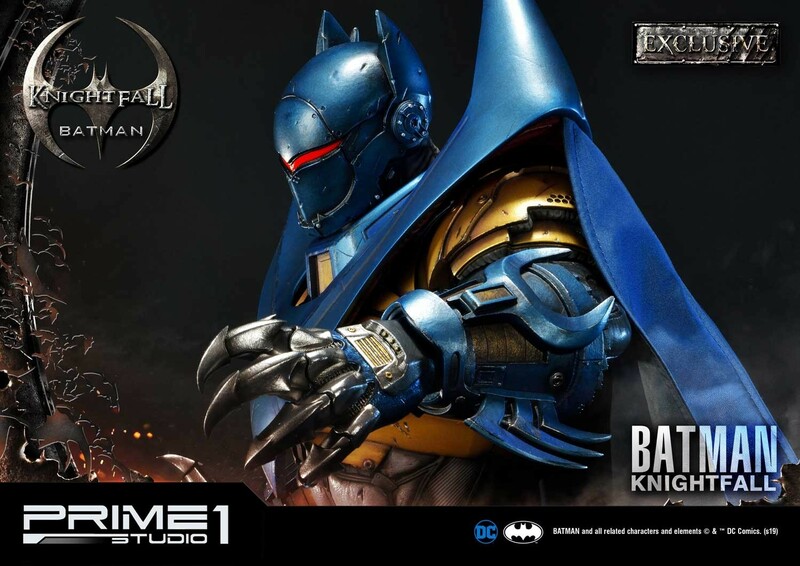 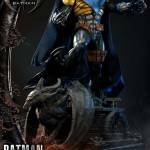 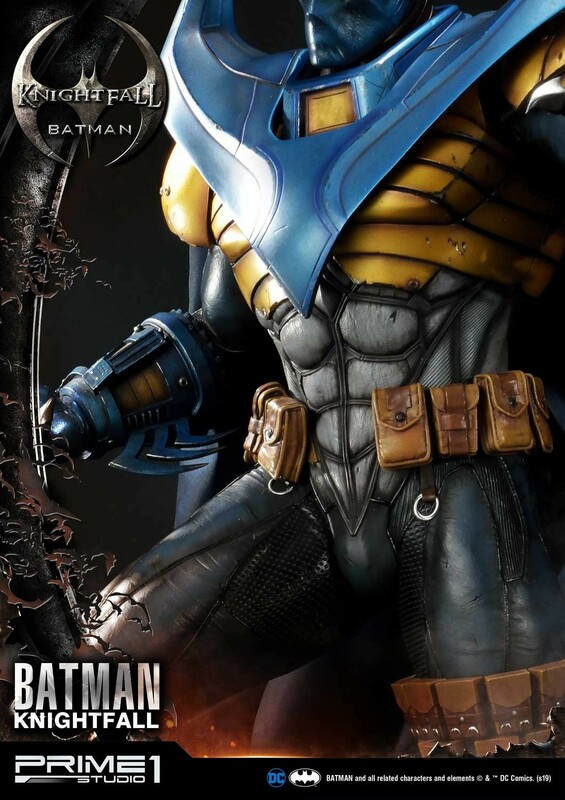 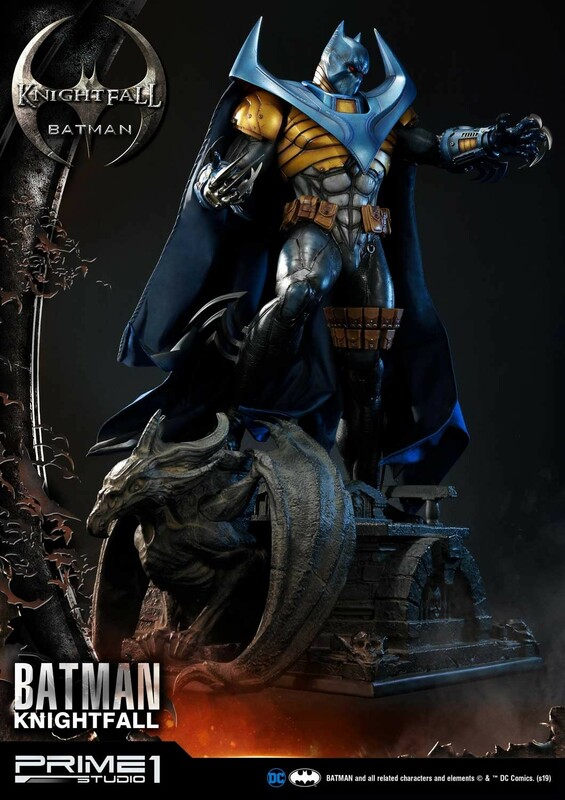 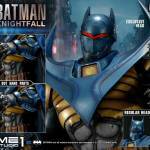 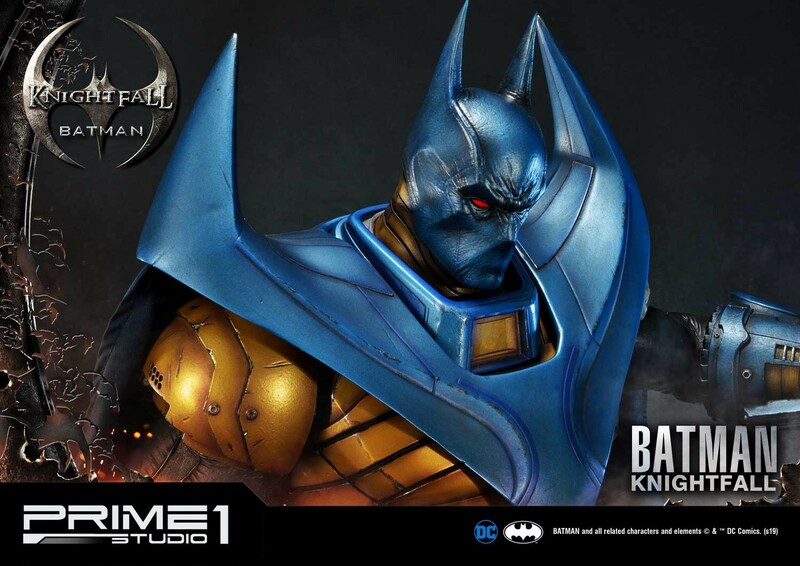 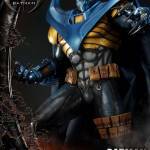 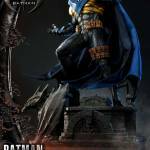 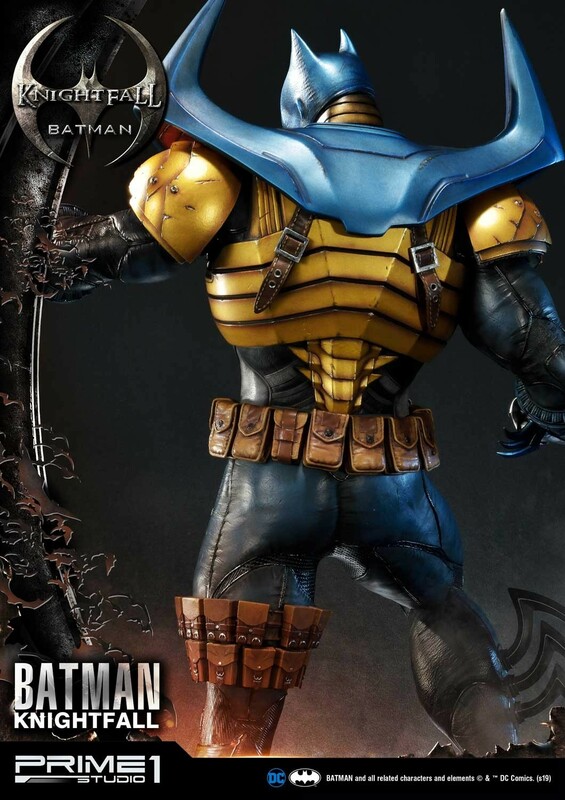 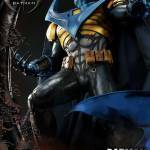 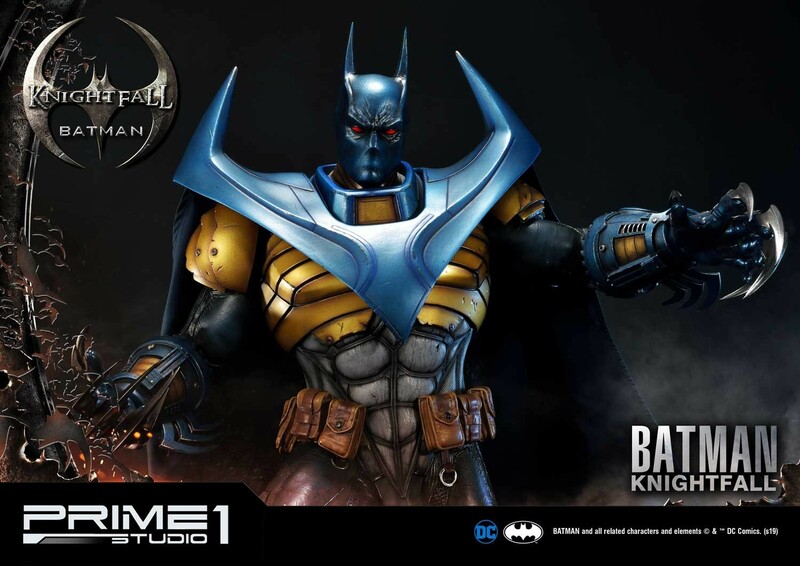 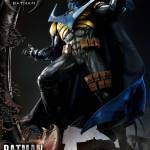 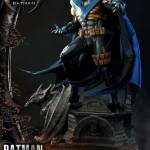 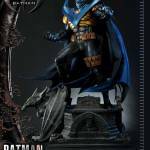 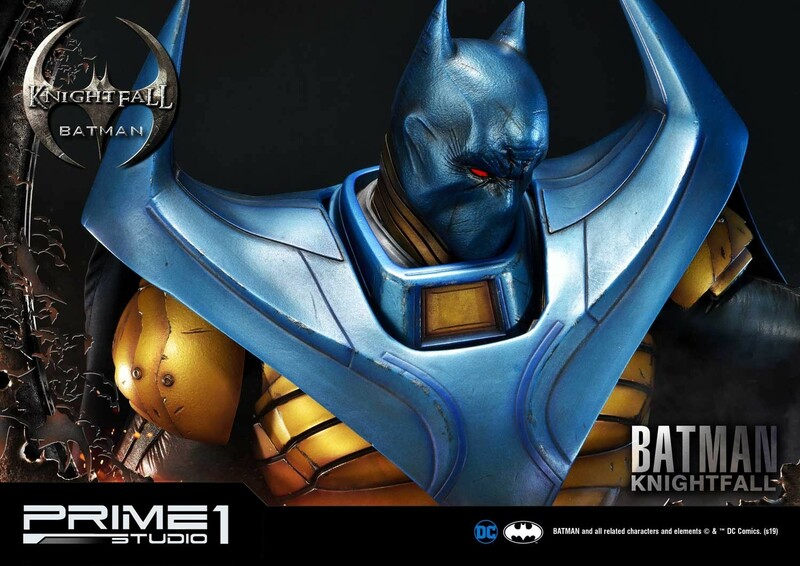 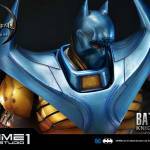 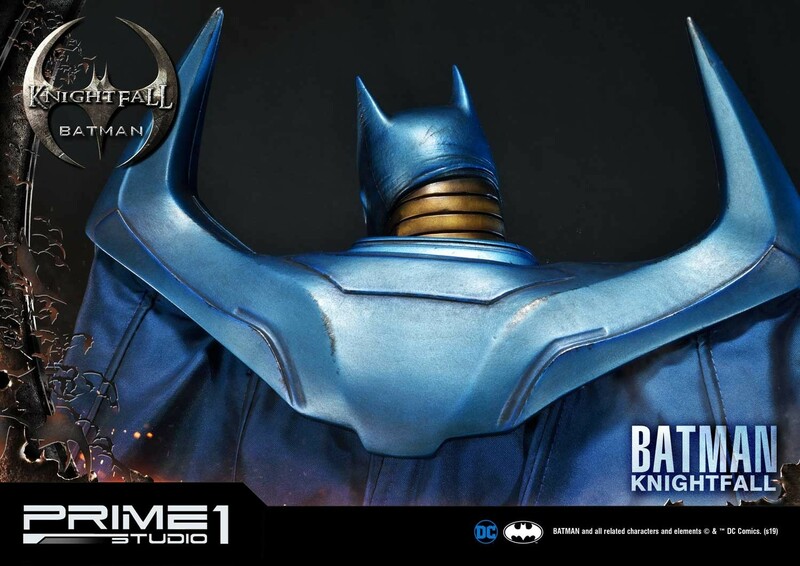 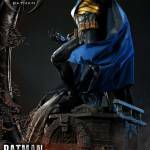 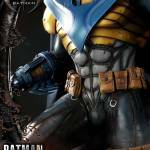 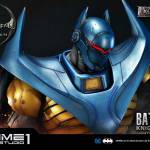 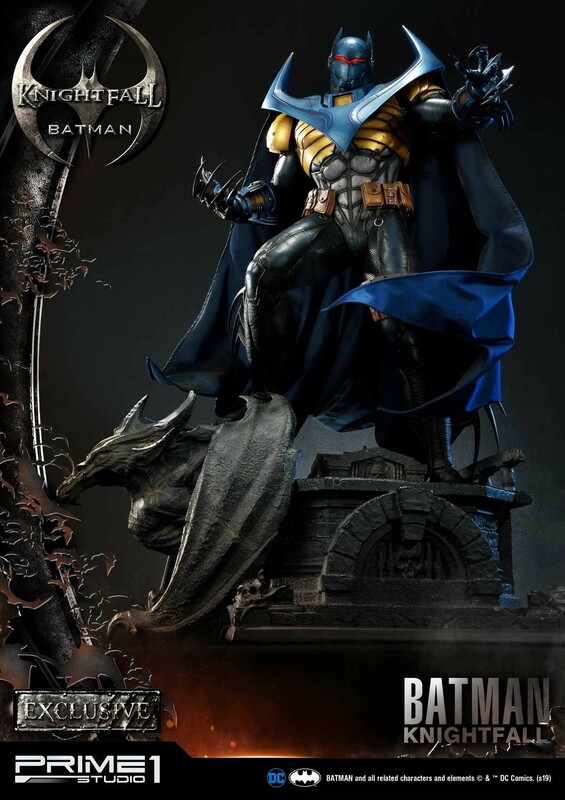 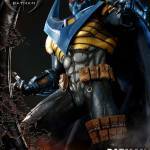 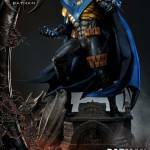 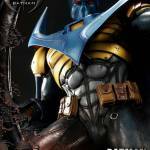 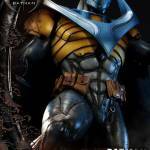 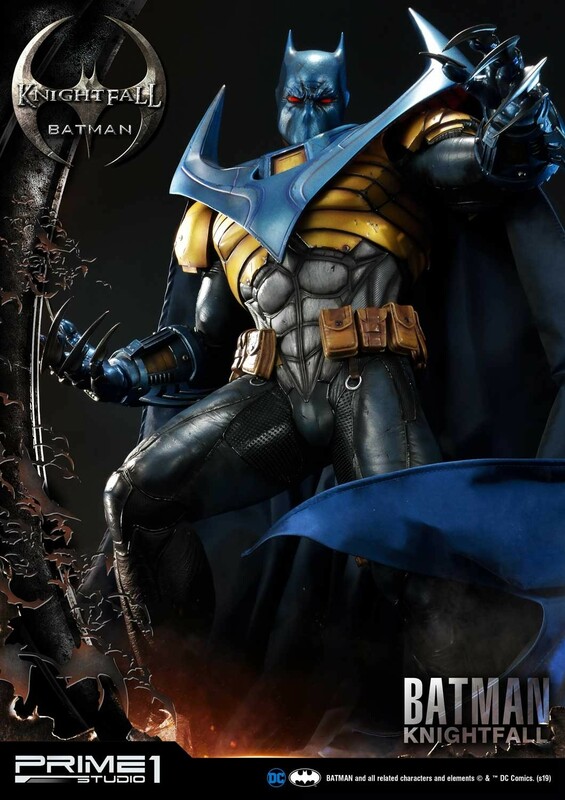 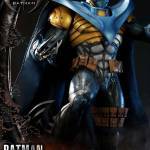 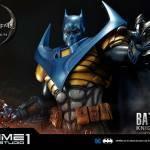 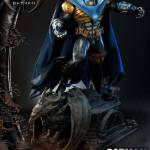 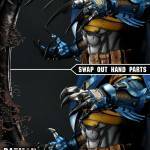 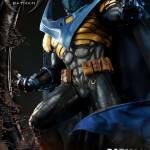 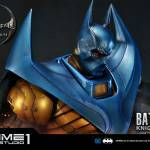 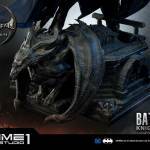 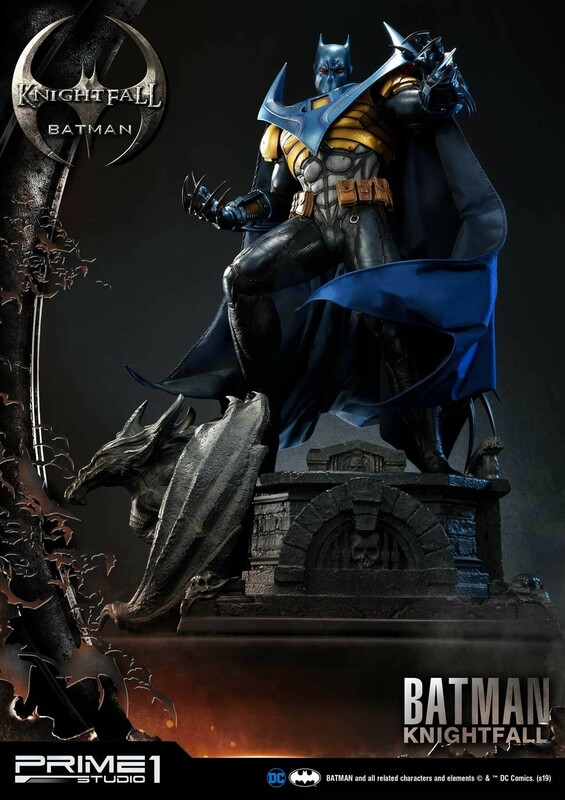 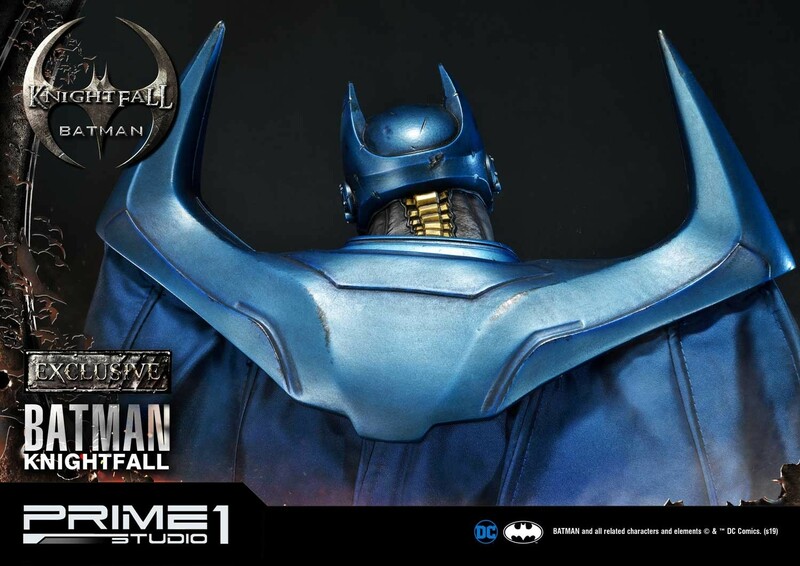 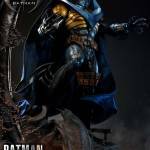 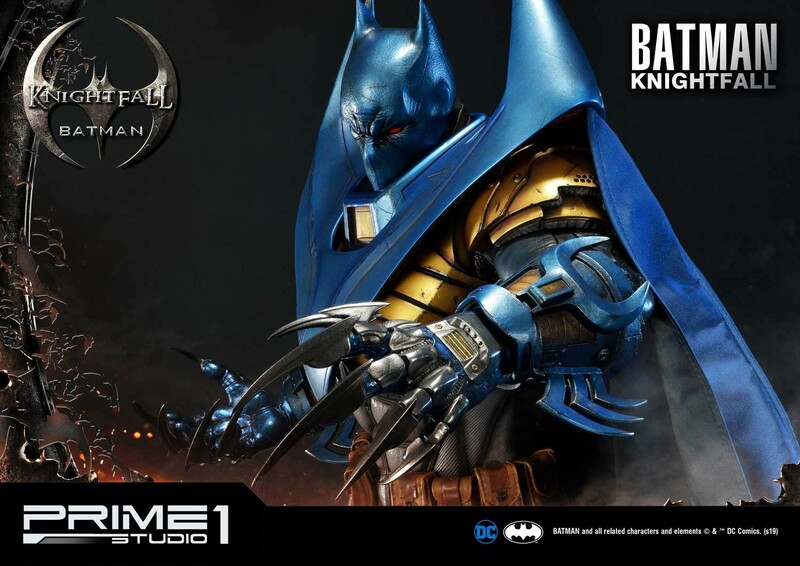 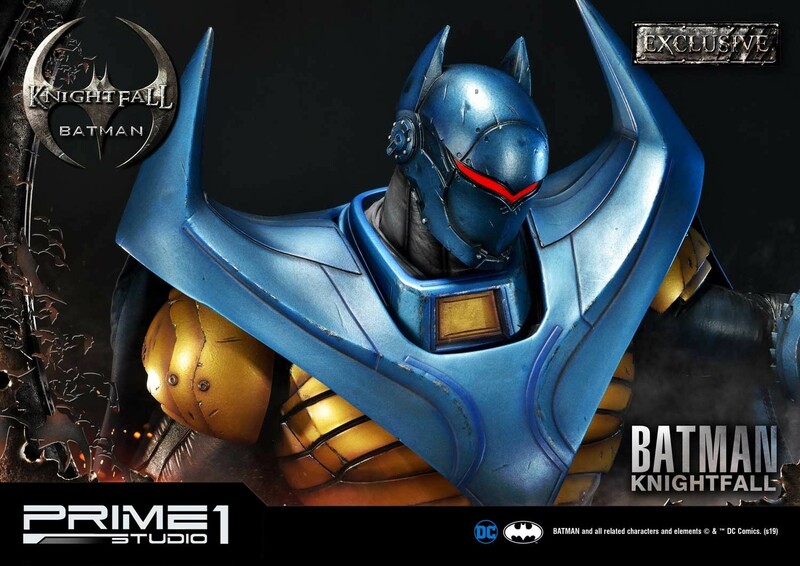 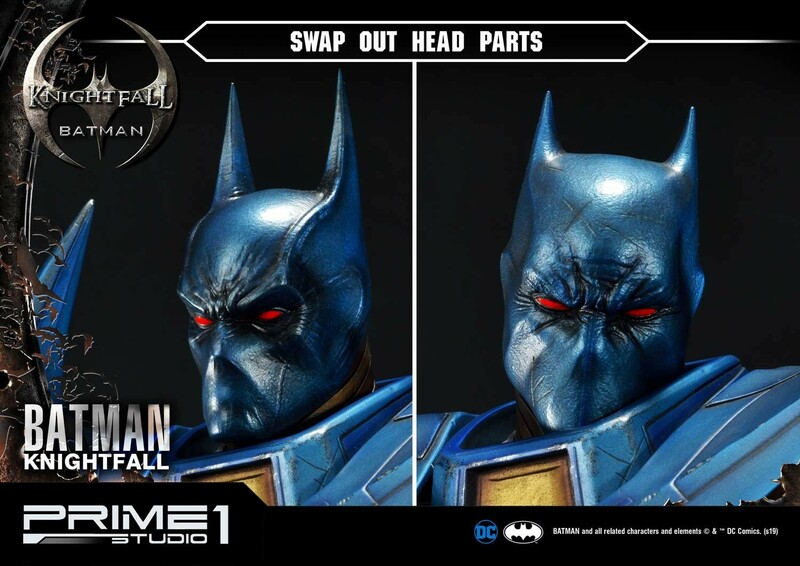 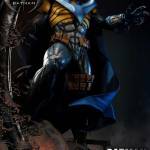 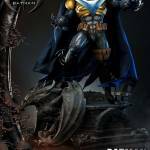 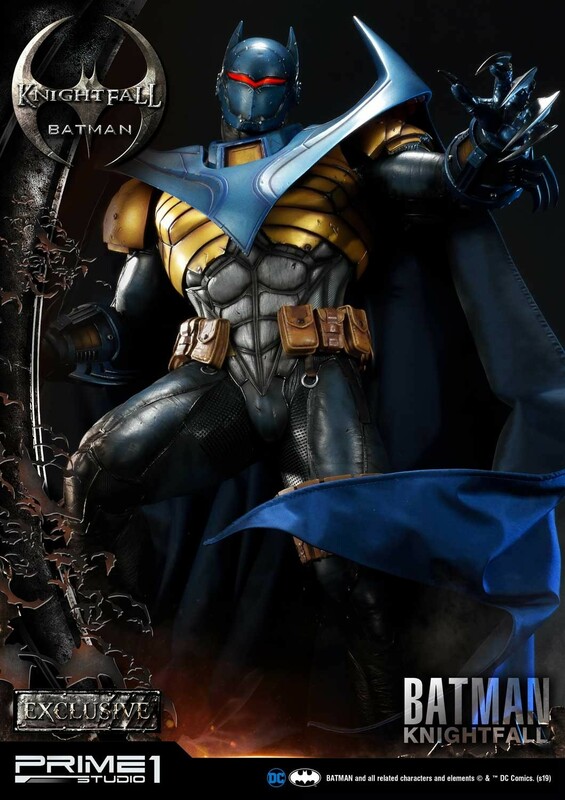 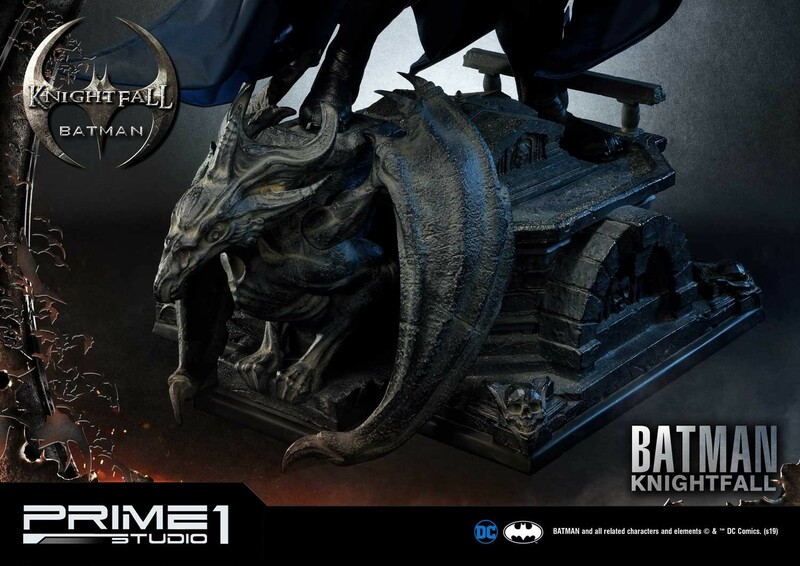 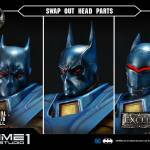 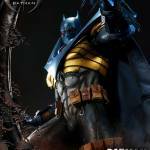 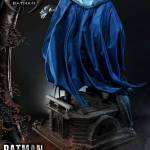 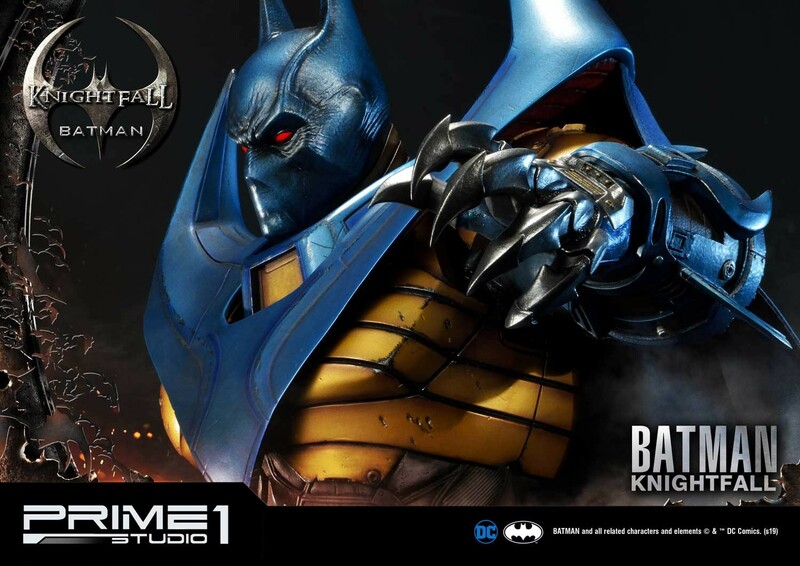 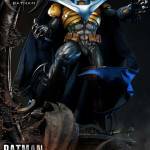 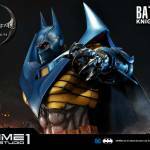 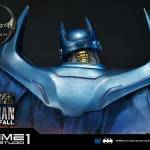 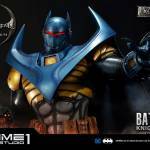 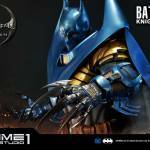 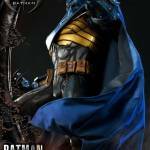 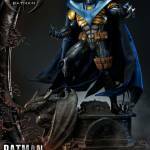 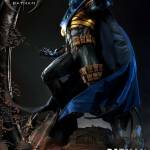 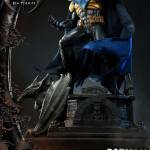 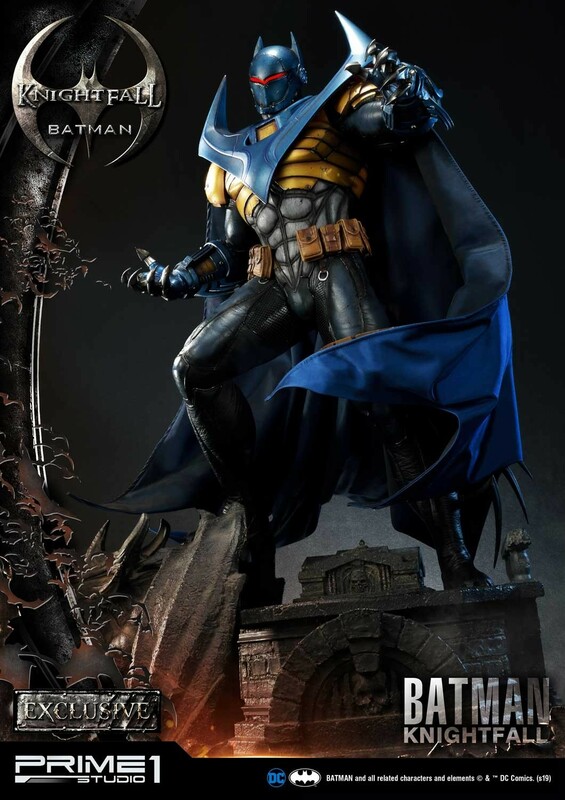 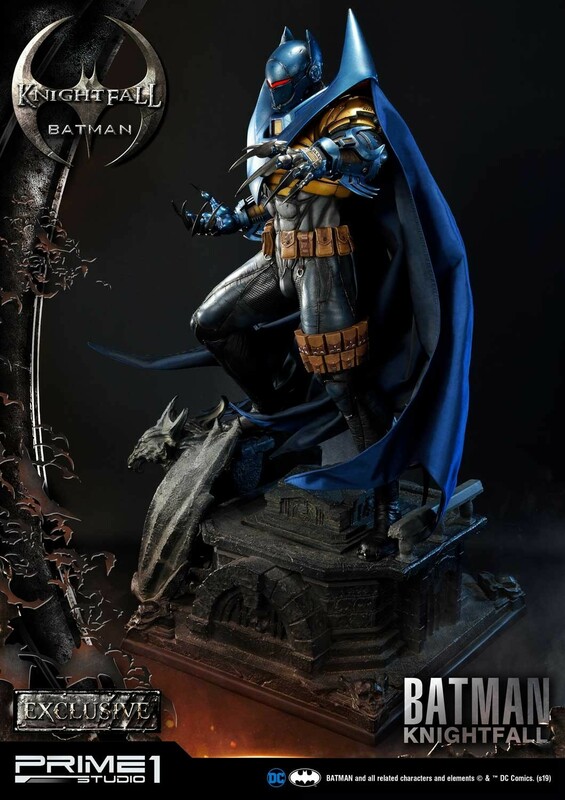 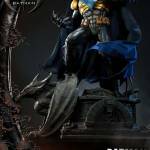 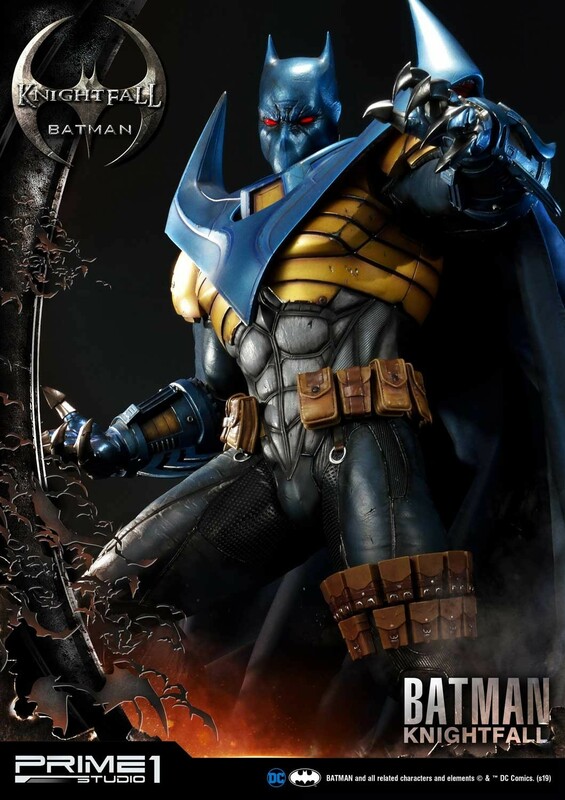 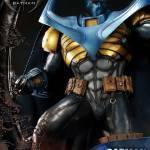 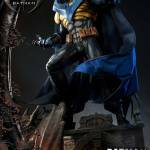 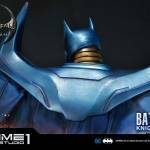 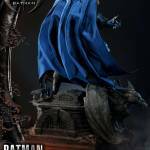 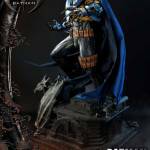 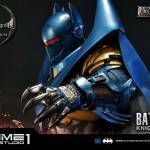 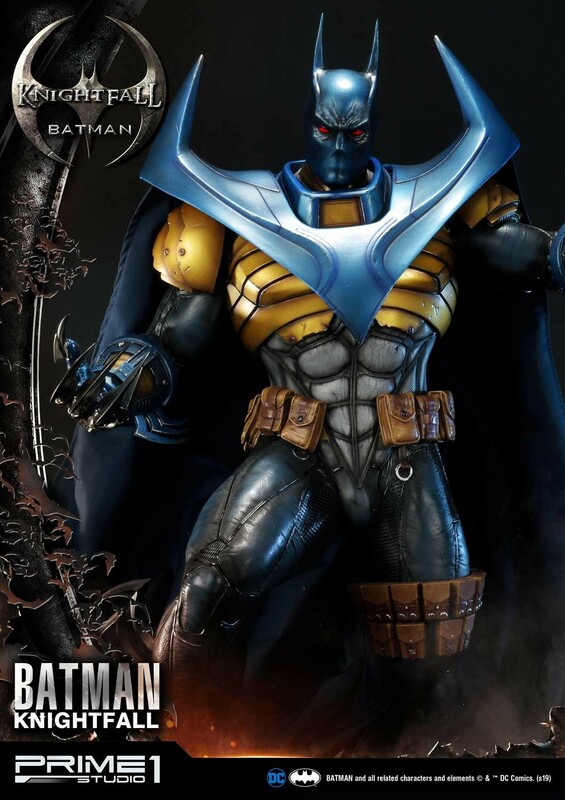 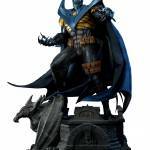 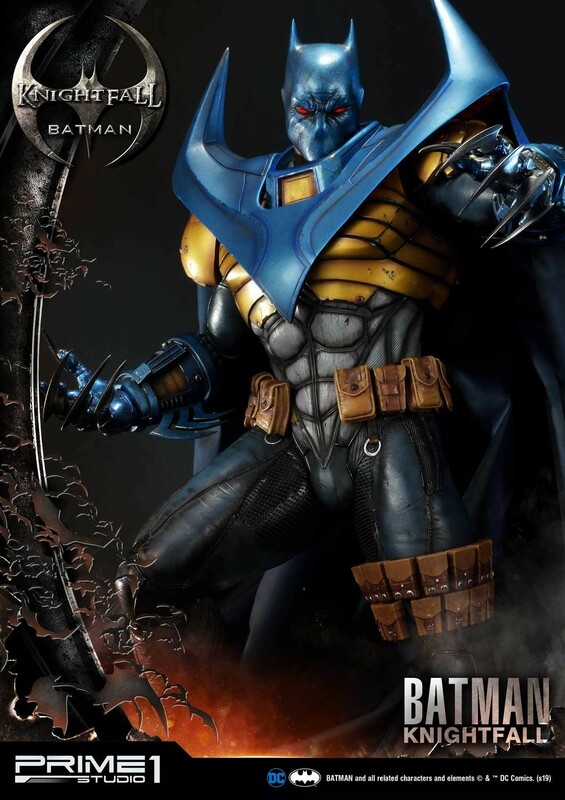 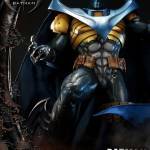 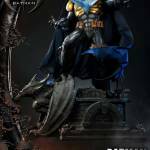 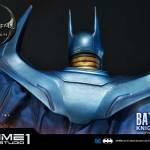 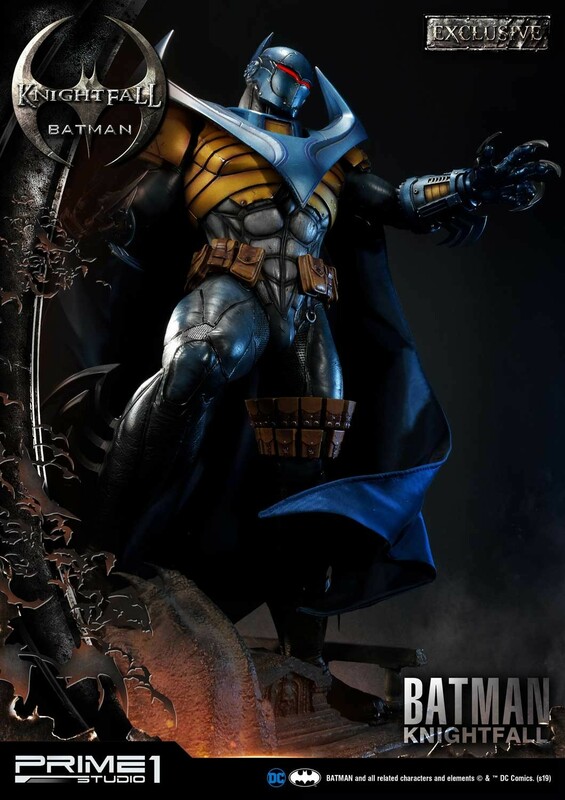 Prime 1 Studio has opened up pre-orders for their DC Comics – Knightfall Batman 1/3 Scale Statue. 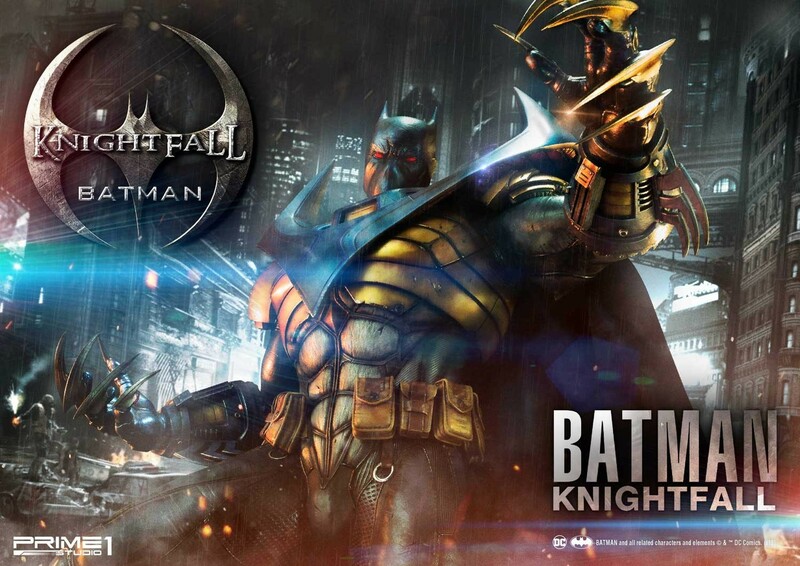 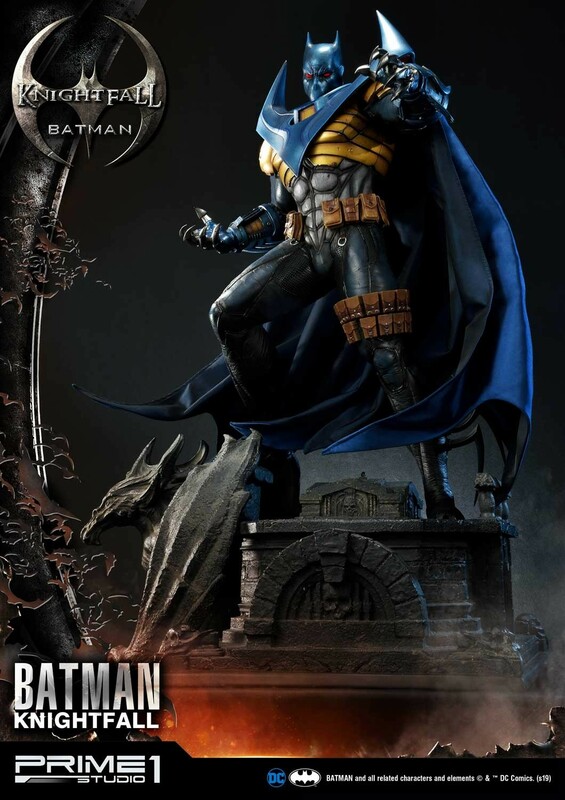 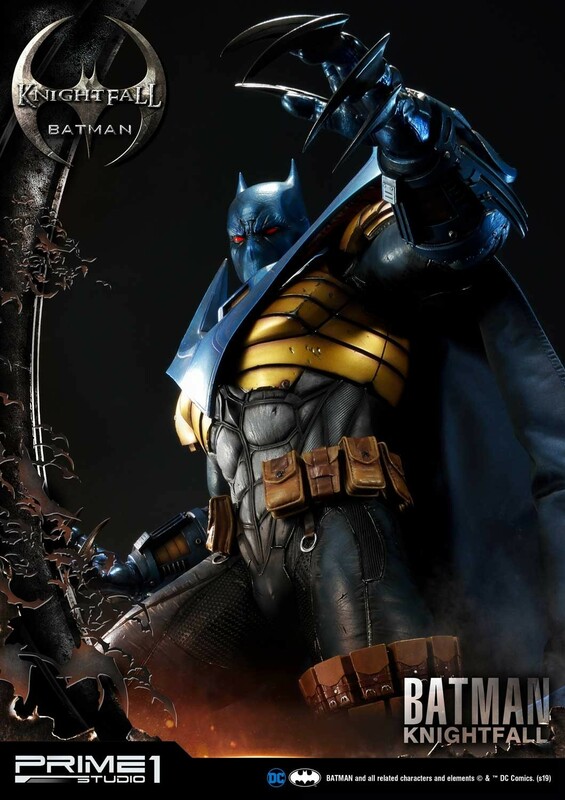 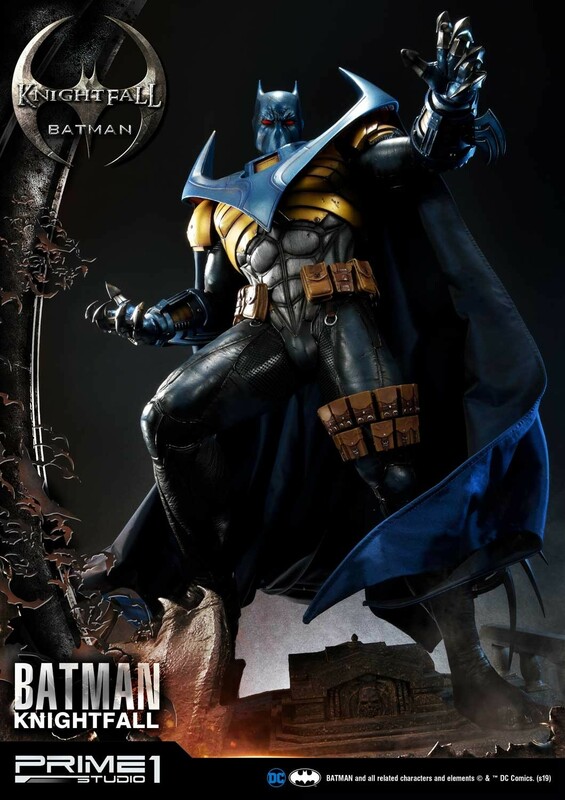 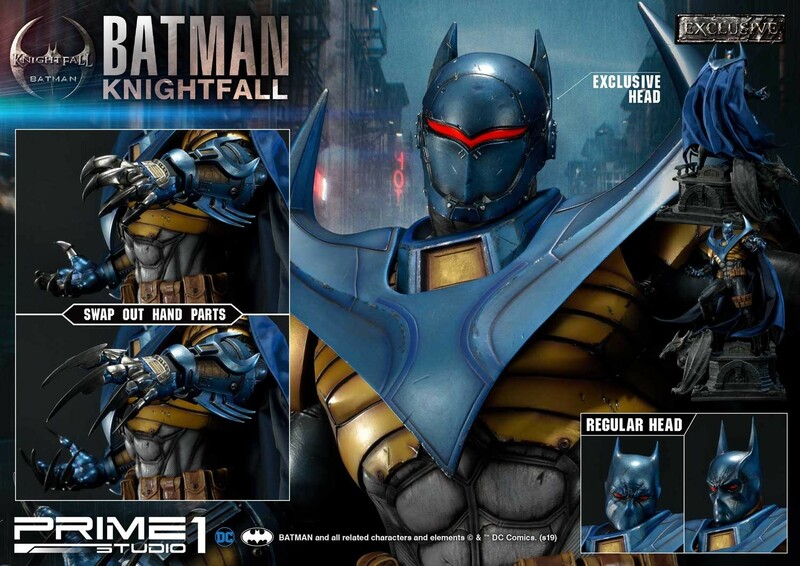 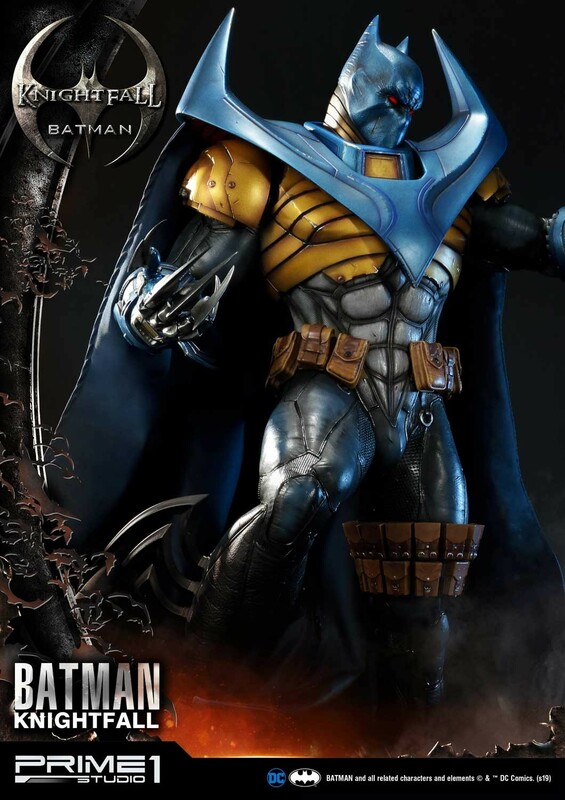 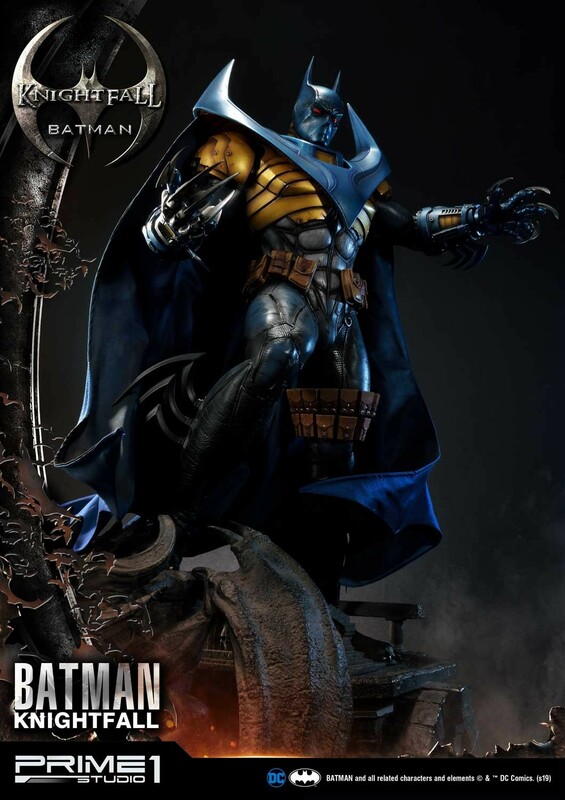 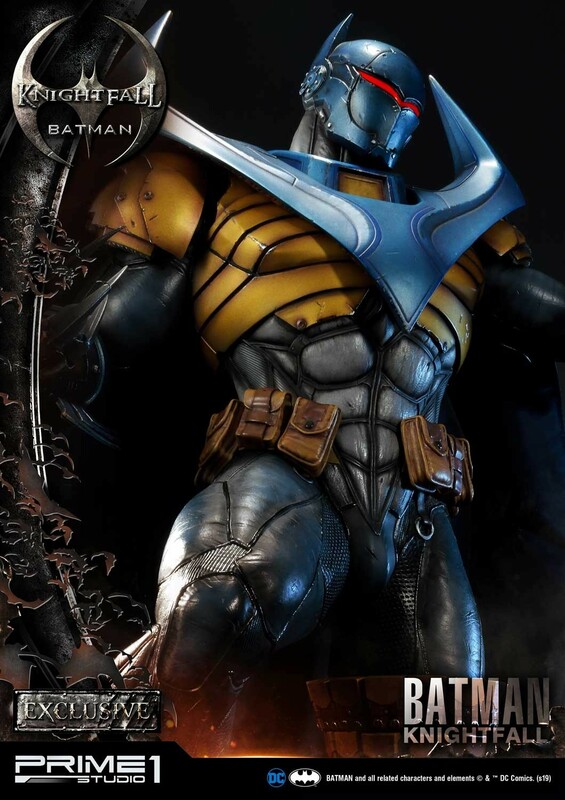 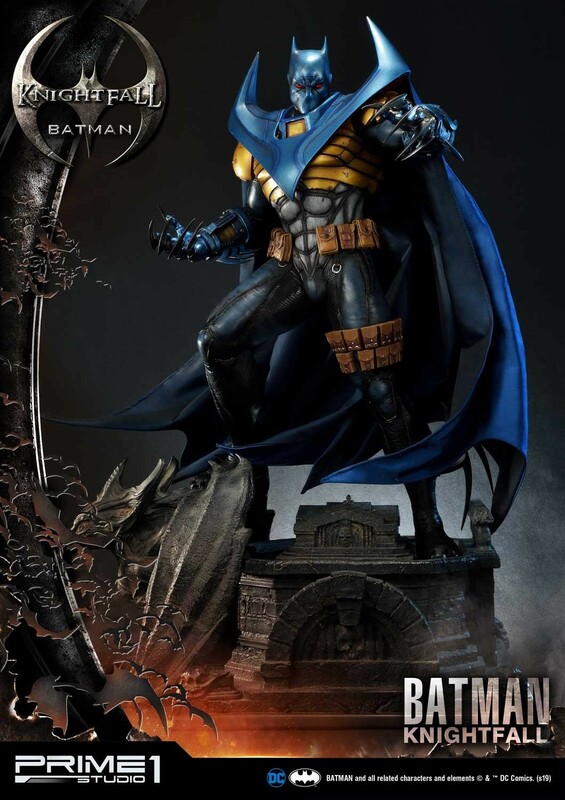 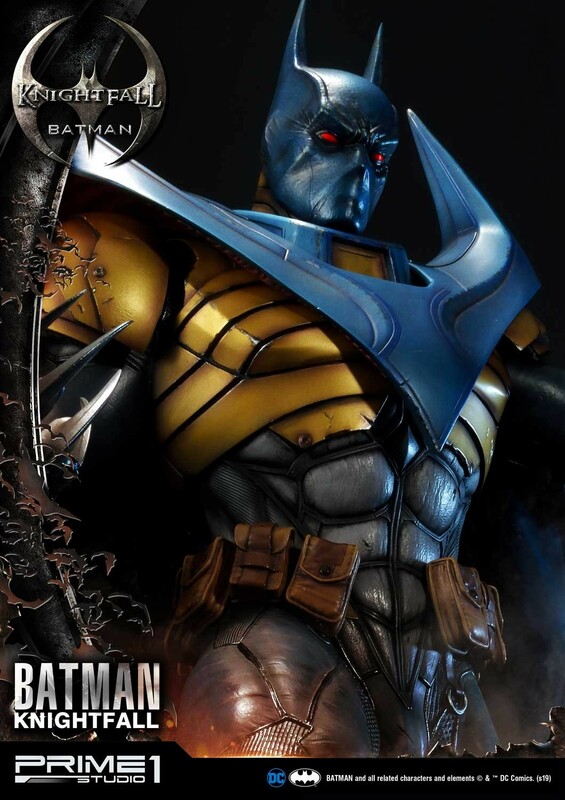 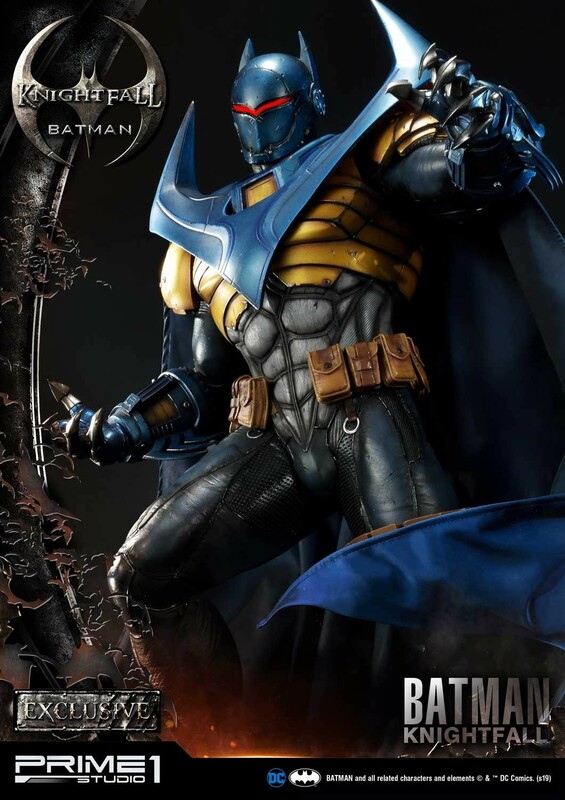 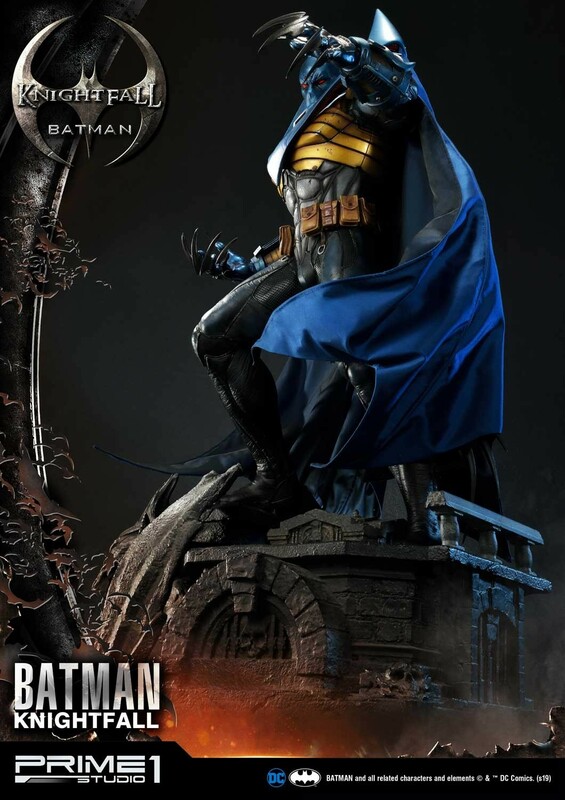 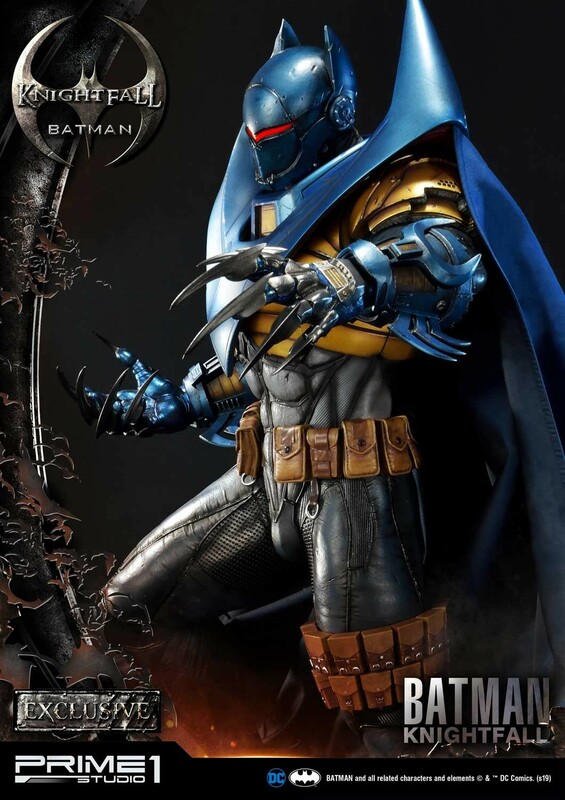 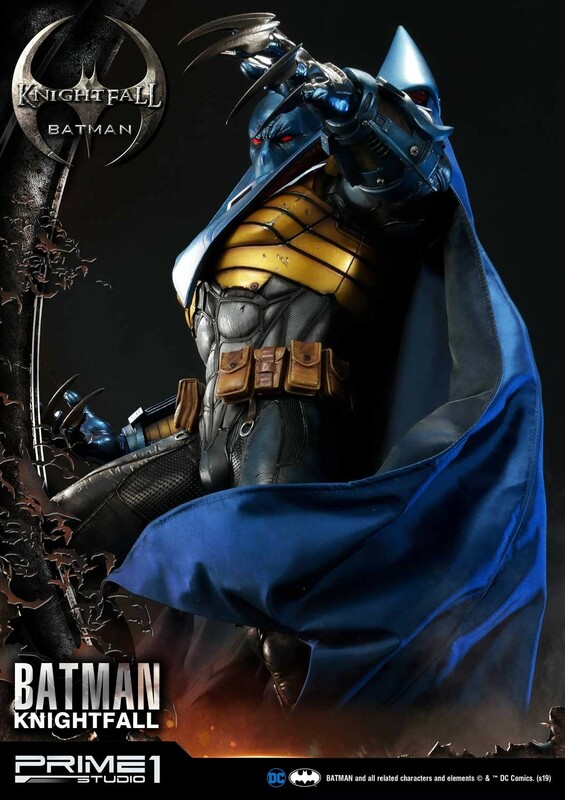 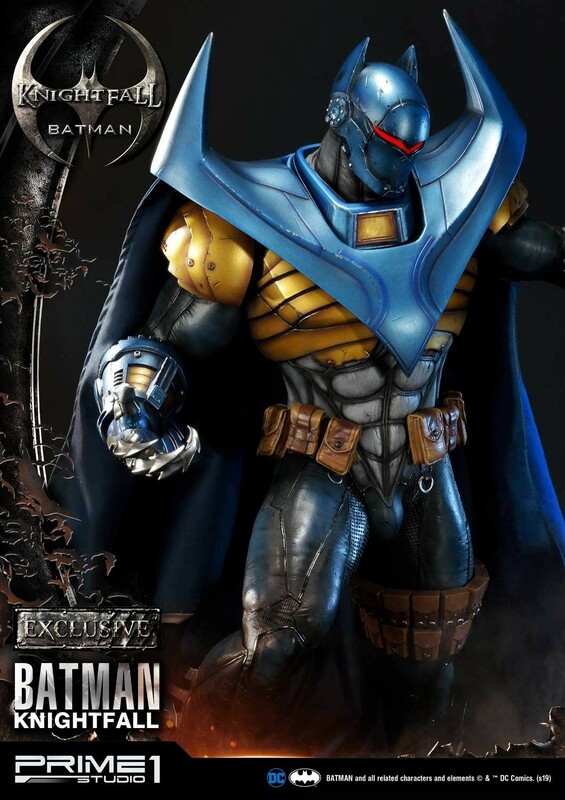 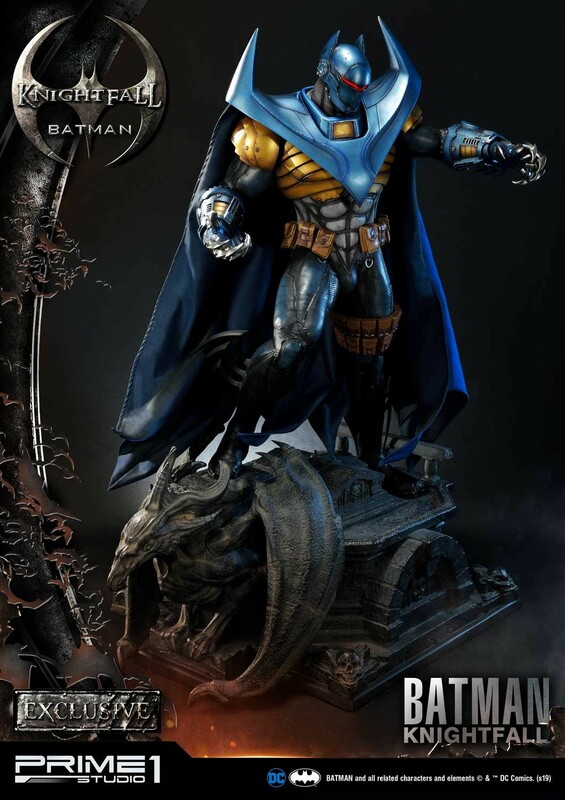 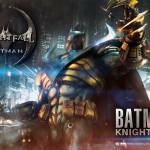 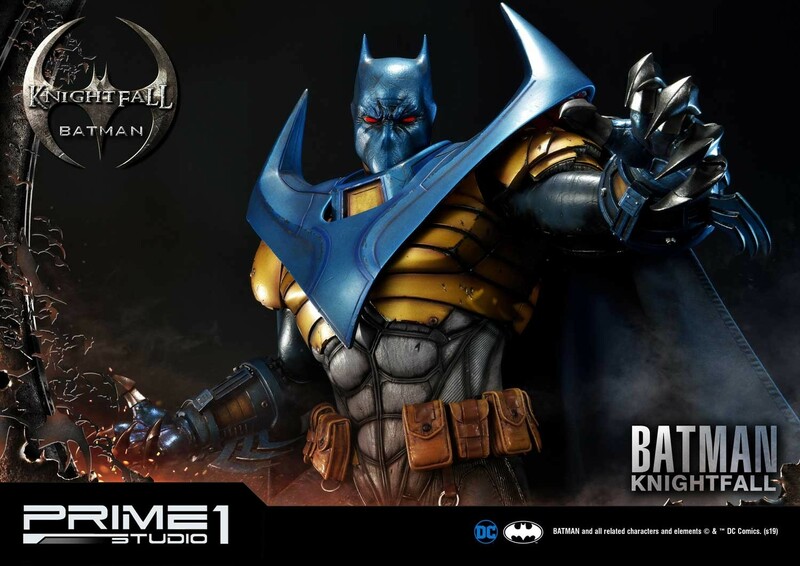 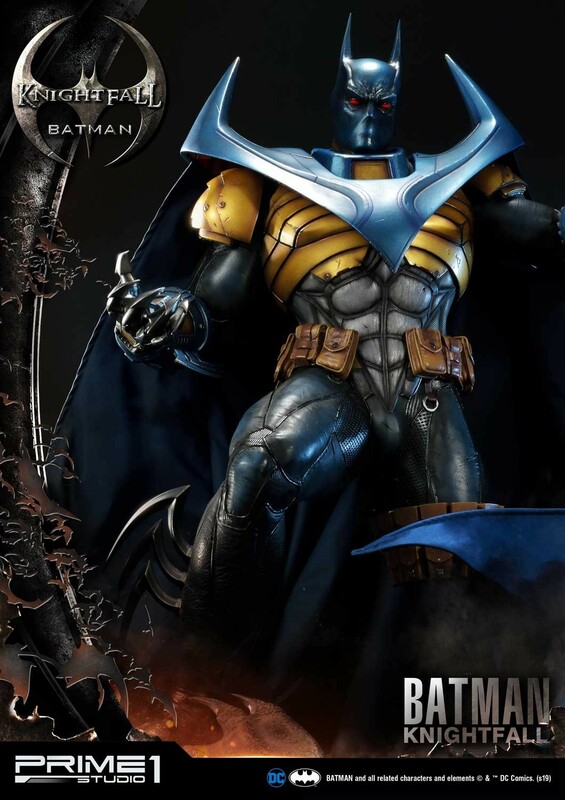 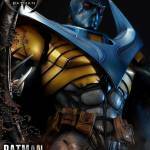 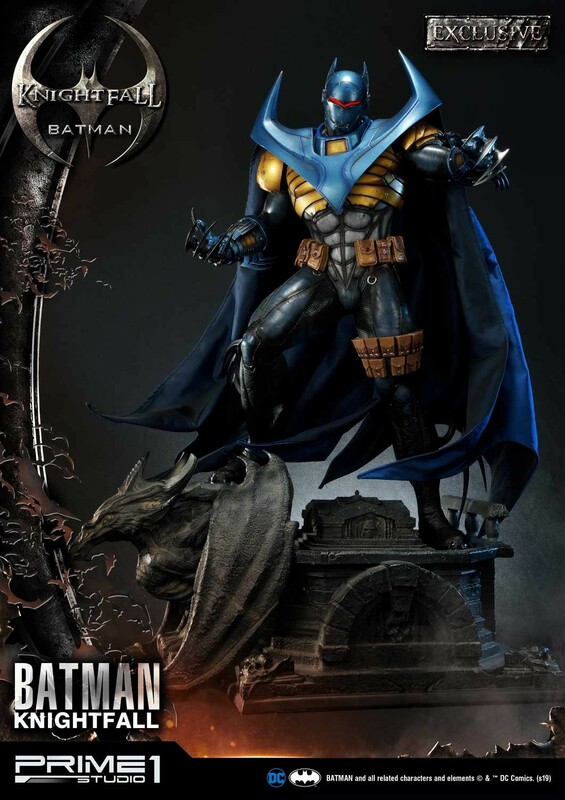 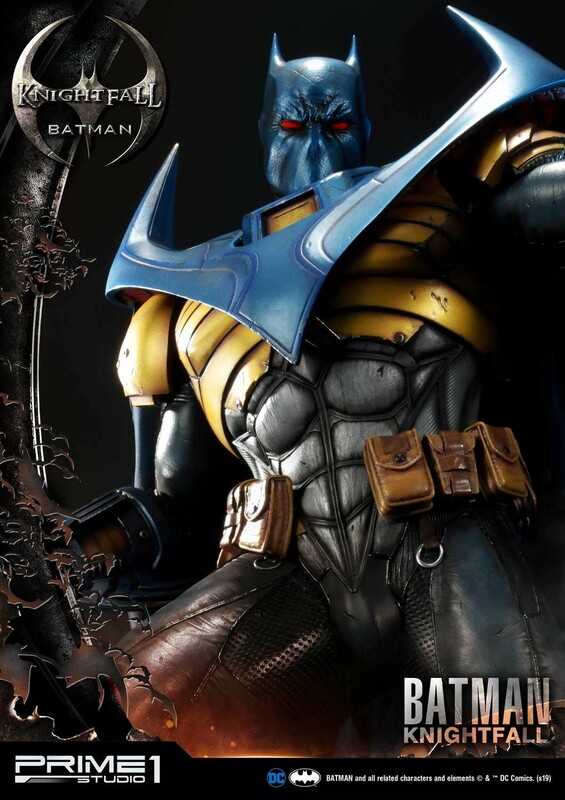 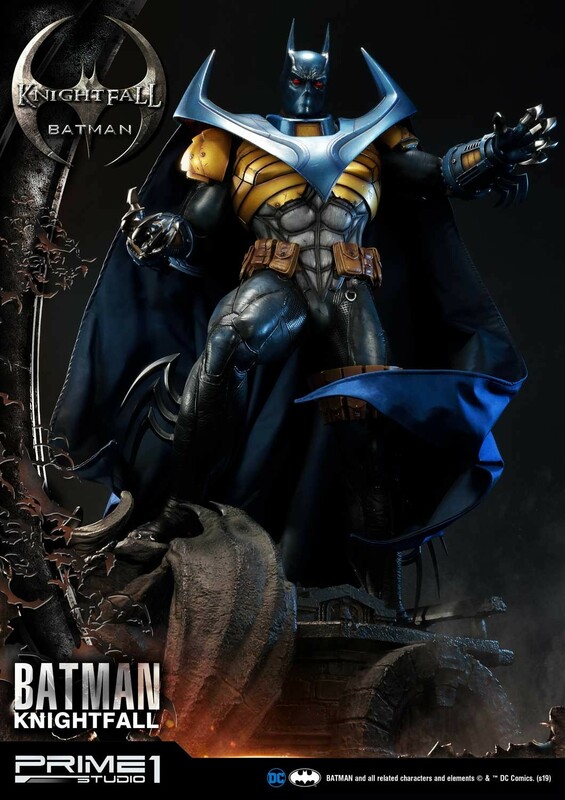 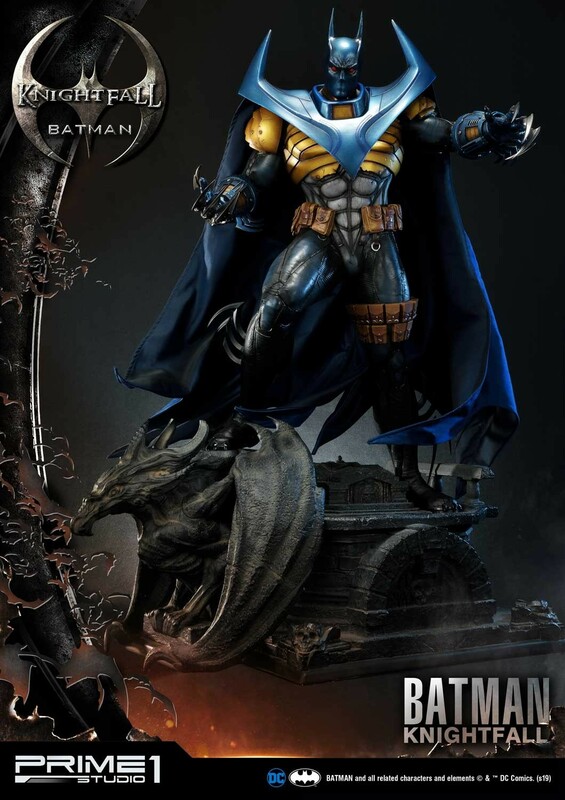 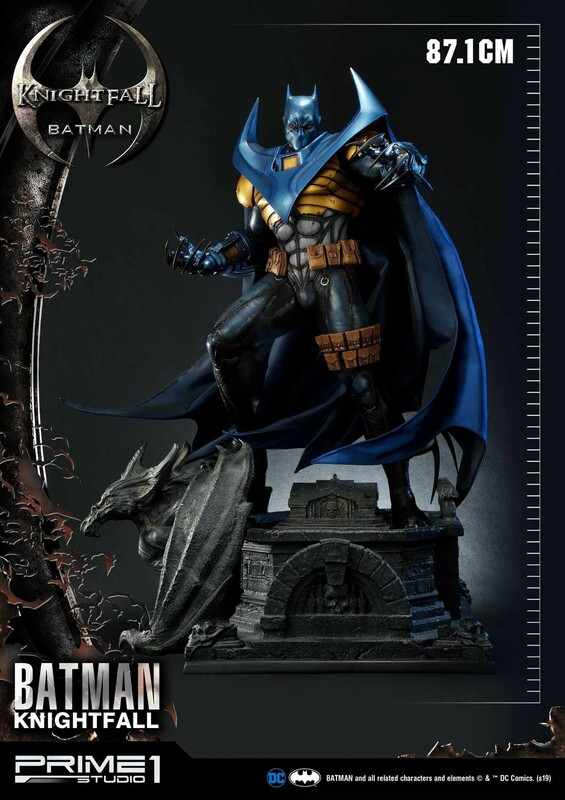 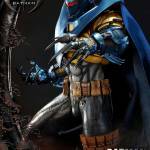 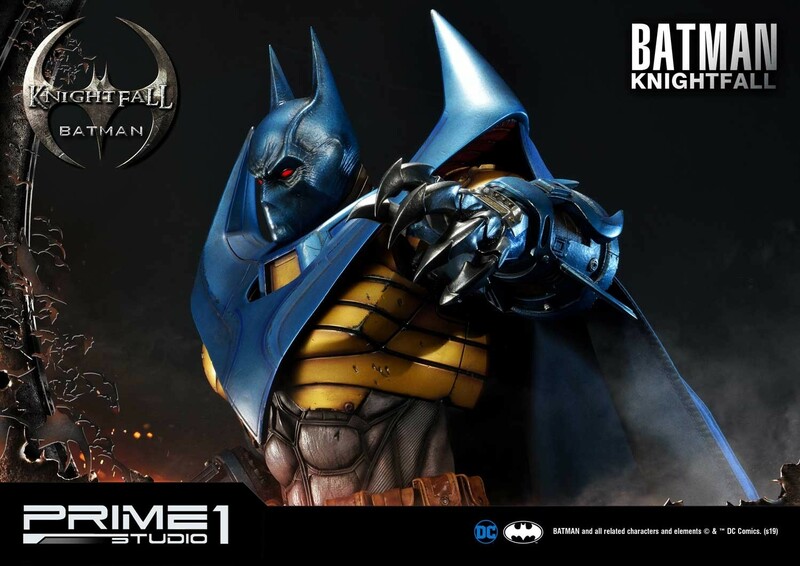 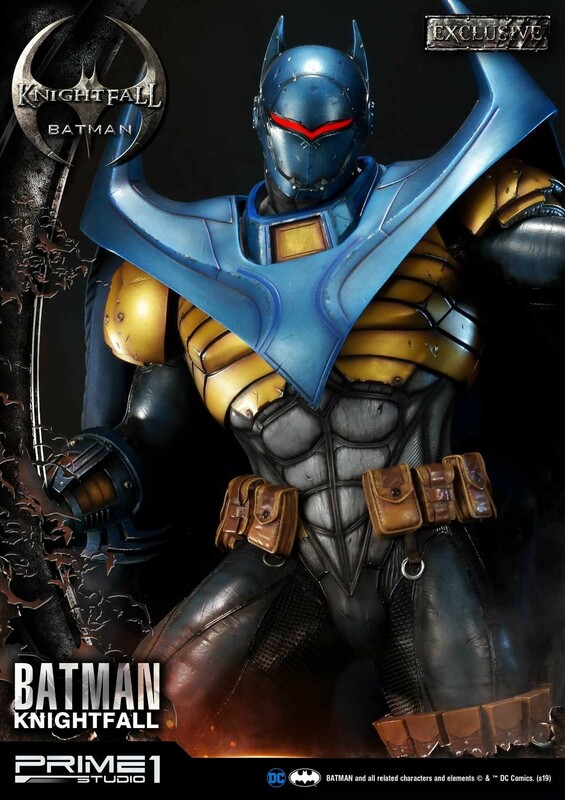 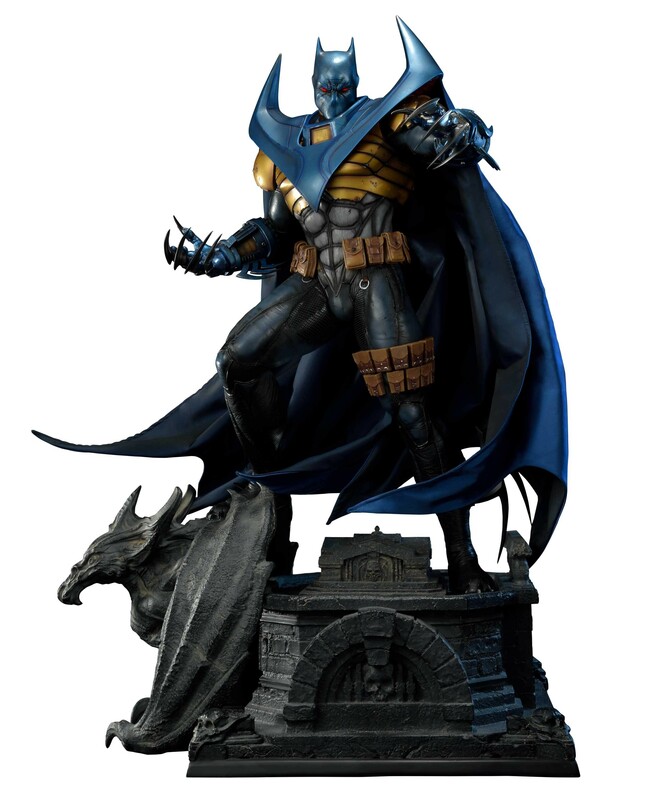 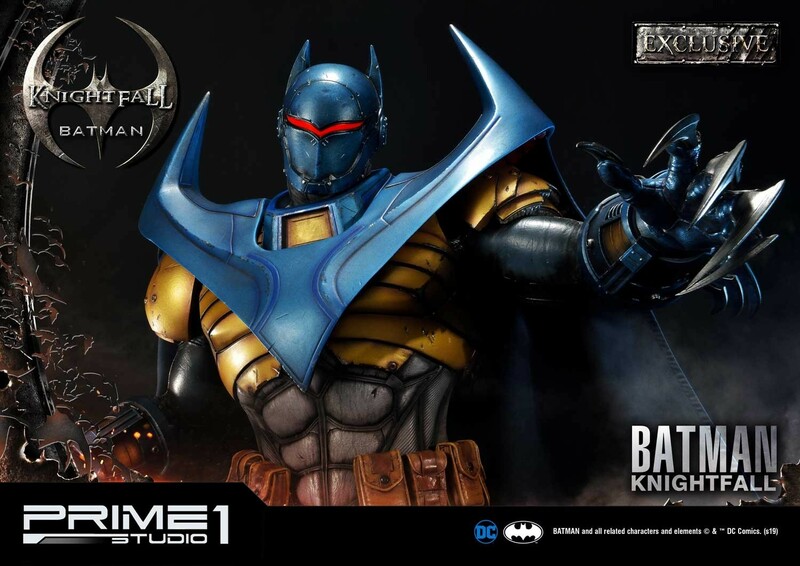 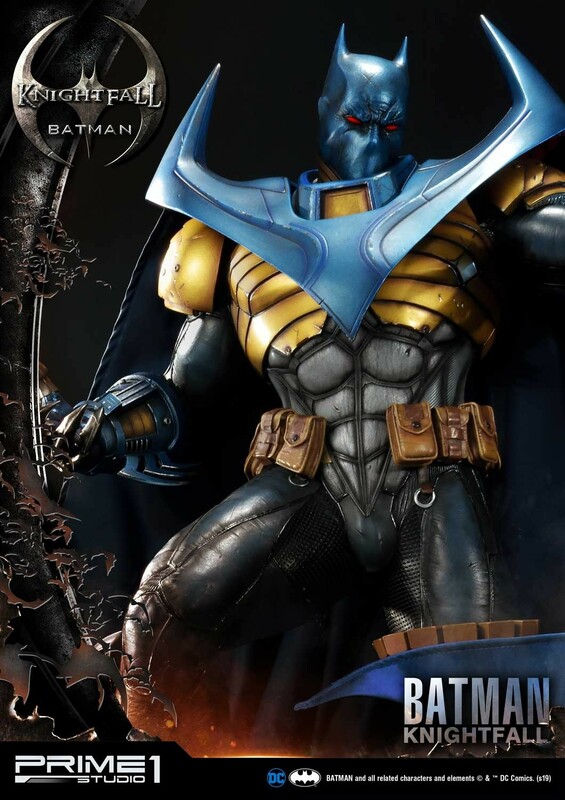 The statue is based on Azrael’s Batman costume from the Knightfall storyline. 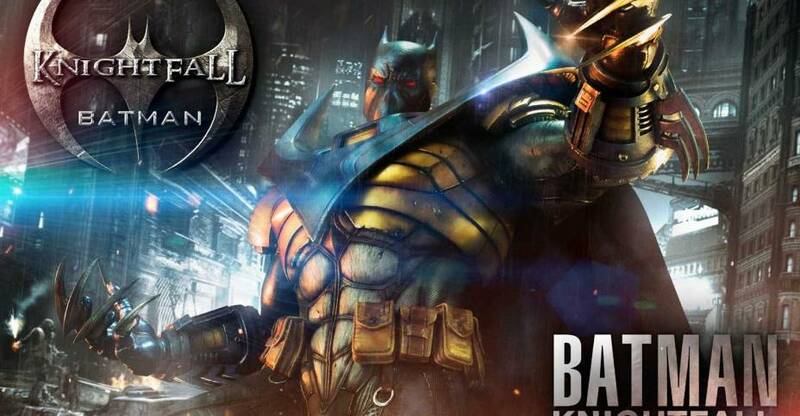 After his back is broken by Bane, his pupil, Azrael, takes up the cape and cowl for a time. 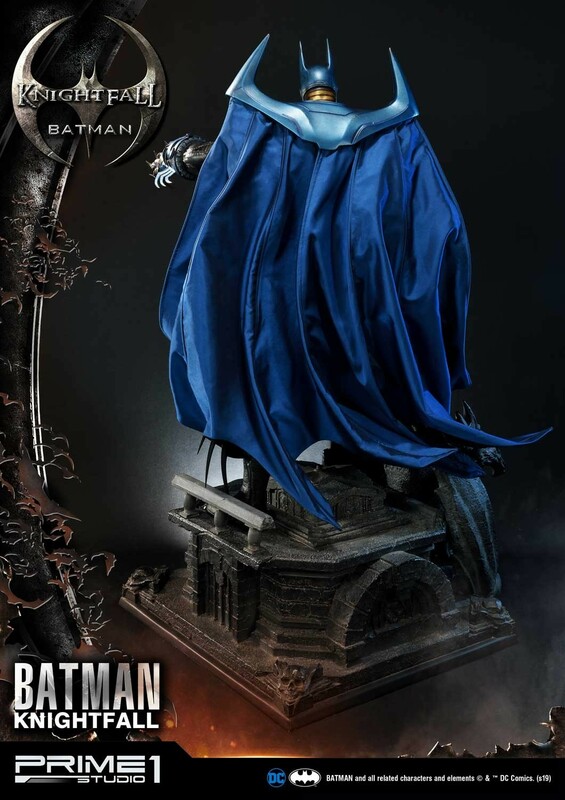 It includes a wired fabric cape, interchangeable hands, and two interchangeable portraits. 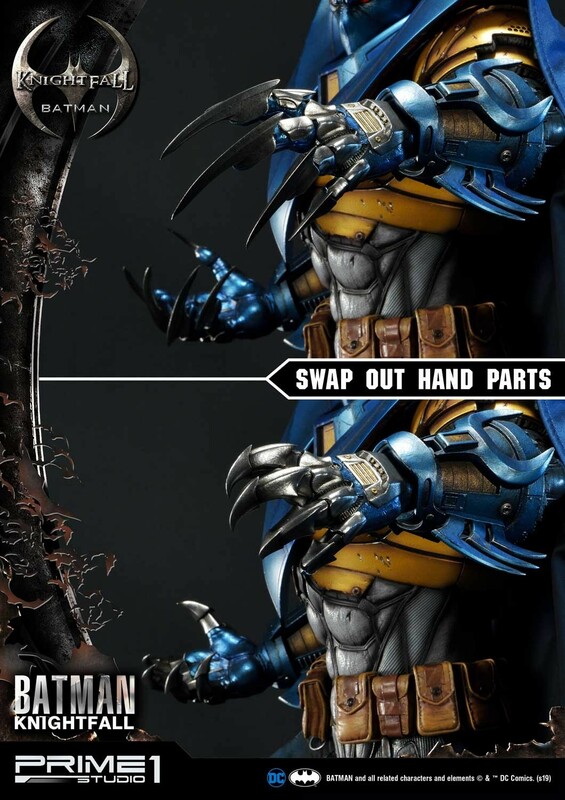 There will be a standard version and an exclusive version. 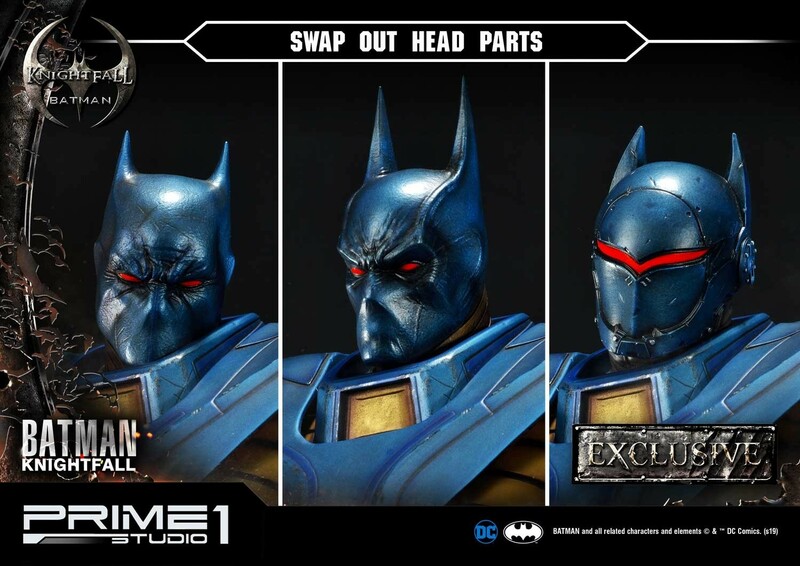 With the Prime 1 Exclusive Edition, you get a third swap out portrait. 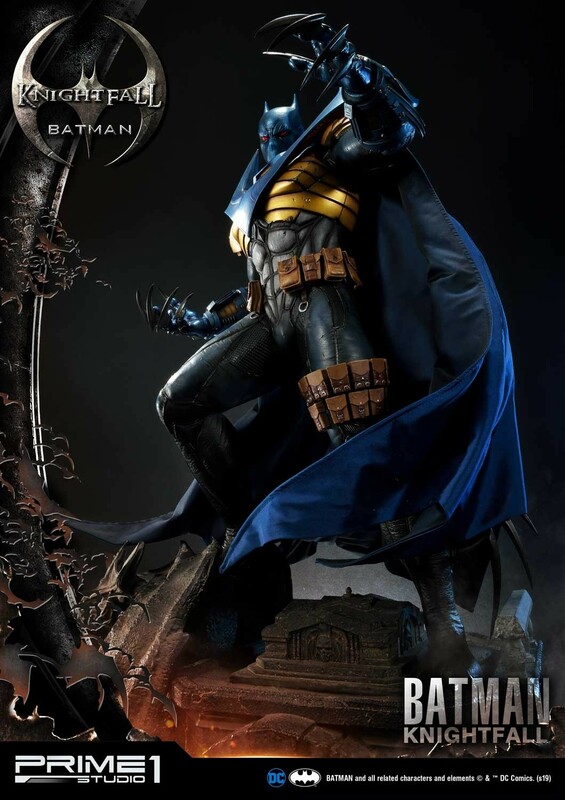 It’s due for release between April and June of 2020. 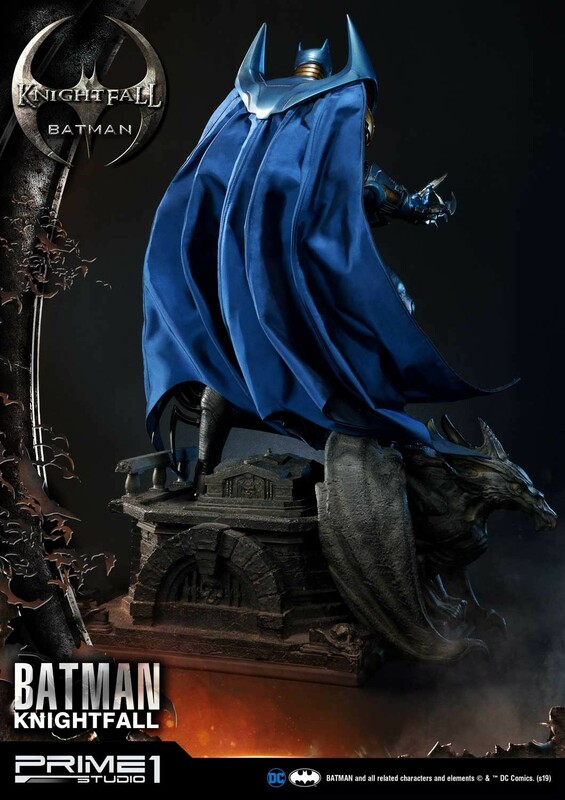 You can pre-order at the links below and see the photos after the jump.